By this stage of the game we're really having to work hard for our items. 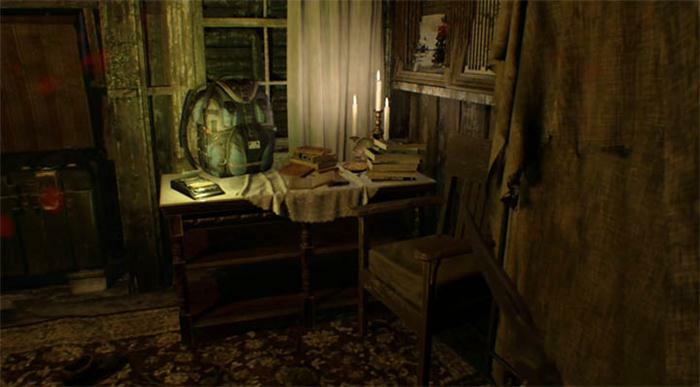 The Captain's Key, Elevator Fuse and Corrosive are three of the time consuming elements to find the RE7. This guide will pinpoint each of these locations saving you a lot of pain! I'm guessing that by now you're well aware of our present location - slap bang in the middle of a multi floored wrecked ship, right? There's loads of those creatures walking around and limited ammunition to keep you alive...I know your pain. It's the Lounge, on the second floor (2F) of the ship. This is quite a simple puzzle really. Three of the paintings can be rotated whilst the three paintings on the opposite wall show the correct orientation for each of the paintings. 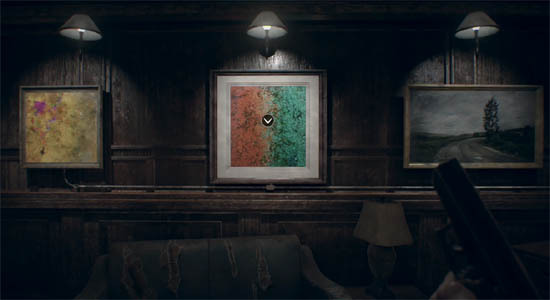 Simply rotate each of the paintings so they match the orientation of their counterparts on the opposite wall. 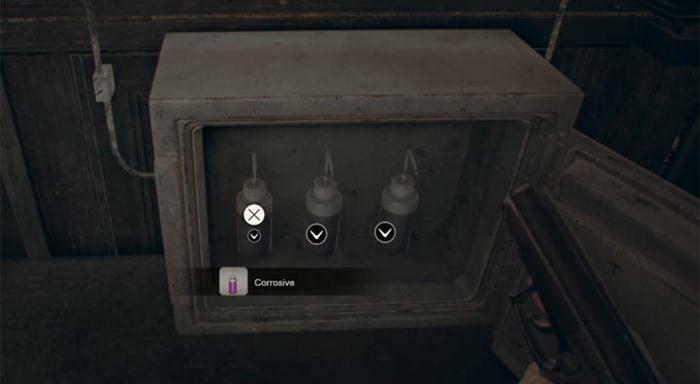 When ready open the safe to collect the three Corrosive items inside. The Captain's Key opens the locked cabinet with the high powered machine gun inside. Without this weapon you're going to have an impossible time surviving on the ship. Check the map image above which shows the room on the second floor (2F) thats just below the Bunk Room. Use the Corrosive that you picked up from the Lounge and burn through the door to this room. Inside on the desk is the Captain's Cabin Locker Key. Now head back to the Captain's Cabin and grab the machine gun. The Power Cord for the elevator is clearly hinted in the note left on top of the elevator. It's just a case of exploring the Sick Bay on 3F. However, the Fuse item isn't so obvious so let's find out exactly where it's located. 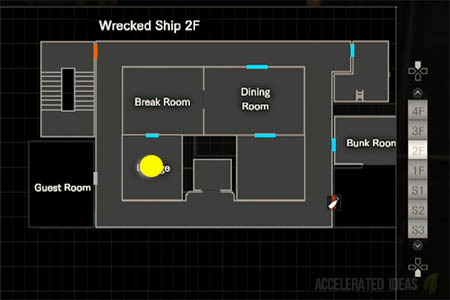 Check the map image above, the Fuse is found on the the first floor (1F), shown by the yellow icon above. To get to this floor you'll have to use a combination of the stairways and the elevator ladders/gaps. Beware that once you pull the Fuse out of the wall, the door won't be accessible and you're left to fend against the creatures. Make sure you're ready for this part! Now quickly head back to the elevator and repair it. Get down to the engine room and save Ethan!